If you’re one of the business owners who aren’t sure they need to build a website or bother to update their current website to ensure it looks professional, you’re in for an awakening. Word of mouth and dollars spent on social media advertising simply won’t cut it in 2019. 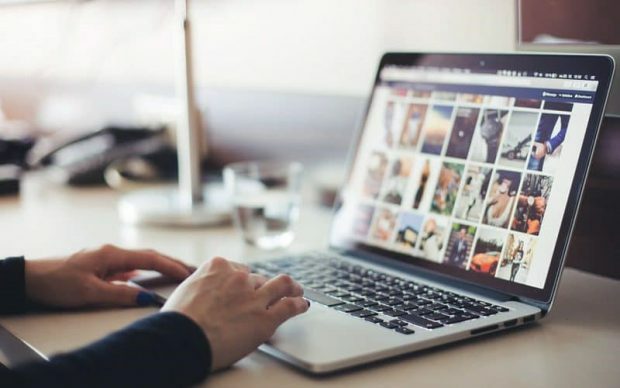 Whether you’re new to the world of small business ownership or a bit more seasoned, it’s time to recognize the value in having a website that allows you to reach your current and potential customers. If you’re worried you can’t afford a professional website, try to reevaluate your finances and recognize the importance of a professionally developed and designed site. The design and functionality of your site are more important than they’ve been in the past – website credibility judgements are 75 percent based on aesthetics. Take a look at these five reasons your business needs a professional website. If you’re a small business owner new to the game, you might not feel that a professional website is in the cards financially. While the cost of designing a site varies based on your specific needs, once it is up and running you’ll find it’s worth the investment. If it’s built using WordPress or a drag and drop website builder solution such as Ideal Evolved Lite where you can add and change content yourself regularly, saving you cash in updates. Many people turn to the web to find businesses, whether they’re shopping for things they want, solutions to problems, comparing prices or simply trying to learn more about businesses before they make a purchase. If you don’t have a polished, informative website, your customers will go to your competitors who do. A website will provide information customers need to know about you, allow you to share your personal message and add credibility at the same time. There are several ways to boost your business, and a professional website is one that will act as a game changer when it comes to your success. When you think of your website as an online catalog or brochure you can update anytime, it will help you rationalize the cost of it. A good example is RockHer.com where they focus on highlighting its ability to deliver top notch diamonds worldwide. The site features powerful customer testimonials, which ultimately affects buying behavior – the power of social influence is strong! A professional website also allows you to introduce your customers to new services and add value by sharing tips and resources. If you have a brick and mortar location, it’s not open to customers 24/7. A website is open round the clock though. Your website can provide your current and potential customers with the opportunity to view your products even when your physical location isn’t open for business. Those who visit your site can opt to sign up to receive emails and go ahead and make purchases directly from your site. Websites are accessible from nearly every place in the world. More people have access to the internet than ever, allowing you to target a much wider audience with the help of your professionally done website. Every business, no matter what is has to offer, benefits from this alternate location to sell. A website offers a plethora of benefits allowing you to better serve your customers and showcase your products and services. Don’t underestimate the power of a professionally designed website. It will save you time and money -- and there’s no denying it will boost your bottom line.